Desktop management software helps to manage multiple systems and devices through remote. It helps to configure various systems and can perform troubleshooting of desktops by accessing them from a central system. 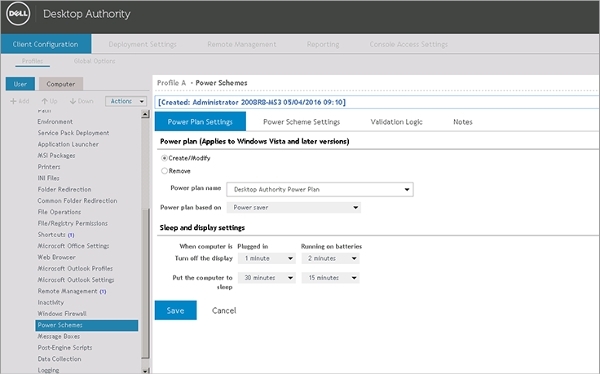 It can trigger alerts to the administrators to notify any hardware issues immediately. Desktop central is desktop and mobile device management software from a central location. It allows installing patches related to operating systems or applications. It can install or uninstall software with built-in templates. It can manage mobile device and application. It can manage IT assets, software licenses, etc. It can perform remote desktop troubleshooting. iDesktop is web-based desktop management software which helps to manager desktops, servers, software applications and other devices effectively and easily. It allows configuring desktop settings and produces alerts to administrators in the event of any issues. It tracks configuration of desktops, servers and software. It comes with built-in helpdesk to resolve issues. This software helps to manage desktops, devices and software applications by protecting the data. It helps to keep data safe protecting them from vulnerabilities. Gather all privilege information and verify them for compliance needs. It helps controlling devices like printers, mobile phones and allows port access based on user authentication. Remote desktop manager allows one to centralize the entire remote connections, passwords and identifications into a single platform. It helps to integrate tools and procedures. It allows sharing session settings between various users and allows setting user specific settings by the users. It comes with potent and flexible user interface. There are huge varieties of desktop management software is available for various versions of Windows, Mac Os, and Android. This software is dependent on the platform and hence one should check for platform compatibility. One can go through the below-mentioned software for each version separately to get more information. This is easy-to-use and easy to setup desktop management software. It allows managing application over several virtual desktops. It helps to create workspaces to distinguish and prioritize tasks. It enables desktop sharing among various users through settings. It supports adding plug-ins and enables increased workflow productivity. It comes with simple and elegant design. This software helps to switch between various desktops with ease. It allows quick switching by using hotkey or by clicking in the pager. It comes with simple design but works fast and it is lightweight. It comes with sticky window and active edge support. It comes with desktop notification bezel. 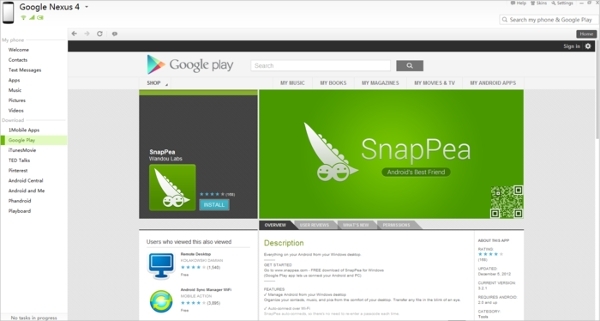 SnapPea is desktop management application which helps to manage files and content on Android device. It comes with simple and easy-to-use interface. It allows quick access to music, video, photos and texts. It allows checking mobile space, battery charge and taking screenshots from summary page. It allows importing and exporting music and videos. 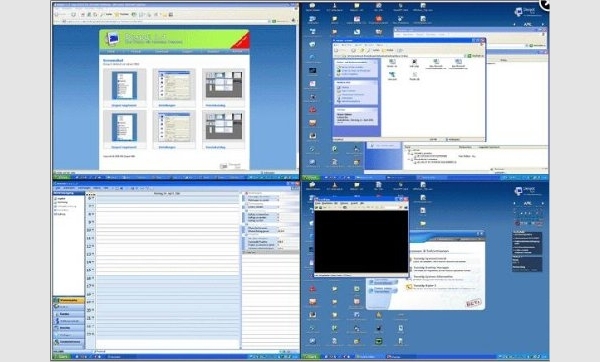 For Windows version, some of the desktop management software is “Remote Desktop Manager”, “Vista/XP Virtual Desktop Manager” and “Virtual Desktop Manager Powertoy”. For Mac Os version some of the desktop management software is “Apple Remote Desktop”, “Every Mac”, “LaCie Desktop Manager” and “DeskSwitch”. “MoboRobo” and “MOBILedit” are some of the desktop management software for android application. Dexpot desktop management software allows creating up to twenty virtual screens and each console offers customizing screen resolution, keyboard shortcuts, etc. It allows switching between consoles using hot keys or from tray icon. It allows moving windows to other desktops by dragging. It can provide 3D transition effect and perform wallpaper customization. What is Desktop Management Software? Desktop management software enables managing several applications using virtual desktops. They come with plenty of features like setting console configurations for each virtual desktop like resolution and desktop background, etc. For mobile devices, these software enable managing content and files easily. They allow importing and exporting videos. They are easy-to-use and simple to install and configure. How to install Desktop Management Software? Installation instructions to install desktop management software will be provided along with the software download file. They are easy to follow instructions and one can easily understand them. One should check for versions and system requirements that these softwares support and install accordingly. One can check with software website for any instructions regarding installation. Desktop management software helps to deploy patches across systems through automation. They help to install and uninstall the software using built-in templates using re-usable packages. They can also allow scheduling software installations at remote desktops. They manage software licenses, assets and troubleshoot issues. They can manage mobile devices like restrictions on usage of camera and browser. They can restrict usage of pen drives at remote systems. They can alert the administrators to various hardware issues and enable to know hard disk space on the remote system. They allow customizing virtual desktops and allow switching between consoles quickly. 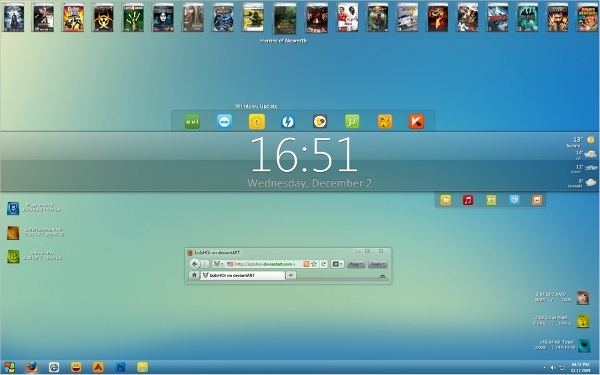 They enable sharing a desktop for various users and setting session configurations.